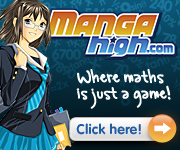 MANGAHIGH.com is a game-based learning site in which students play math games as a fun way to learn new concepts and apply knowledge. Games cover certain learning topics and are sorted by ability and grade level. They are designed to adapt in difficulty to the ability of the student, keeping the student in their zone of proximal development. Mangahigh’s educational content is based on the Common Core. 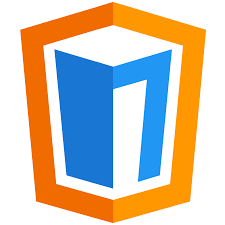 Mangahigh was founded by Toby Rowland and a group of experienced mathematicians and game specialists who were looking to create a balance between game playing and learning. As a teacher, I’ve encountered students who need a challenge and are bored with traditional learning. Mangahigh.com provides an exciting supplement to traditional math pedagogy through the use of “games that provide powerful contexts that often bring out the ‘real-world’ application of the topic at hand, thereby increasing the students’ interest in the content and encouraging them to explore further.” (blog.mangahigh.com) Teachers can assign “challenges” or the students can participate in Fai-To. “Challenges” are specific exercises that can be assigned to individual students or classes. Teachers can set “Prodigi” lessons or games as challenges. Fai-To is a school-to-school competition which allows two schools enter math combat against one another. Students, have the opportunity to move from being passive receivers of information to active participants in their own discovery process. What students learn, how they learn it and how their learning is assessed are all driven by each individual student’s needs and abilities (ISTE-Student Centered Learning). Price ★★✩✩✩ You can use a BASIC version for free with access to just 25% of the curriculum, or UPGRADE to unlock a premium version with access to all curriculum content. There are 12-month subscriptions with prices depending on class size. Up to 5 students for $195, up to 30 students $395, and/or custom quotes. Bevaviorism, Cognitivism Learning takes place through online games and lessons. Active learning acquired through the process of playing games. Games used as a powerful learning tool (https://www.learning-theories.com/connectivism-siemens-downes.html). Ease of Use ★★★✩✩ Both students and teachers need to be able to read. You need to be able to read to choose from a variety of options. Games require students to read instructions, answer questions, and use a mouse to play. Tutorials and FAQ section available. Accessibility ★✩✩✩✩ There is no mention on the website about accessibility features for students with disabilities. The website is not for the visually impaired, since the site is graphics-heavyl. The hearing impaired may struggle with some games that have instructions given orally, but a lot of the games have written instructions as well. Hand mobility is also needed to control the keyboard and mouse. Access ★★★★✩ Multi-device platform. Mangahigh uses HTML5 technology that works on many devices, including chromebooks and iPads. Access through iMac and iOS, Android, Windows and Chromebooks. Requires Flashplayer 10 to function. Class Size individual player, unlimited class size Single player. Players virtually compete against each other. ISTE Standards for Students Empowered Learner, Knowledge Constructor, Global Collaborator Students take an active role in choosing games to demonstrate competency in their individual learning goals. Students build knowledge by exploring through games in real world situations. Students connect and collaborate with other learners in their classroom, or the world. Power and Bias ★★★★✩ Tool marginalises people without access to technology. Tool is only available for english, portuguese and chinese speakers. Target audience is students ages 7-14. Only provides Math content. With Mangahigh, teachers can align their instruction with the Common Core Frameworks that they are working on with their students. Teachers can assign games or quizzes to the class or to individual students. Teachers can assign activities to be played at home or in the classroom. They can then monitor student progress. The games and quizes level of difficulty vary depending on the student’s ability and performance. The more correct answers the student gets, the higher the level of difficulty for the next cluster of questions, and vice versa. Students who are struggling, will continue to stay at their independent math level. Substitution: Use Mangahigh instead of using math or dice games in the classroom for practice. Students follow a “lesson” versus taking down notes and following teacher instruction. Augmentation: Students play visually engaging online games that maintain their attention. Games become more competitive and stimulating. Modification: Mangahigh games modify the level of difficulty as the student plays the game. After three correct answers in a row, the game modifies the difficulty to a higher level. If a student is answering incorrectly, the game lowers the difficulty level. Redefinition: With Mangahigh, students can participate in Fai-To a school-to-school bilateral competition system which lets two schools enter math combat against one another. The students take an active part in Fai-To, voting for their next opponent as well as contributing scores during the rounds. Fai-To is designed to encourage students to participate more with Mangahigh.com. Kindergarten- Comparing Numbers: More, Less and Equal-Identify and represent numbers using objects and pictorial representations including the number line. Students count the objects and say what is more, less or the same. First Grade-Understand Place Value: Tens and Units- Students recognize the value (Tens and Ones) of each digit in a 2-digit number. Second Grade– Geometry: Sort and Describe Shapes– Students visualize 2D and 3D solids, they identify shapes from pictures of them in different positions and orientations; they sort and describe the shapes, while referring to their properties. Eighth Grade-Geometry: Solve Real-world and Mathematical problems- Surface of a Sphere– Students calculate using the surface area for a sphere and hemisphere to solve problems. High School Algebra-Creating Equations:Drawing Curves–Draw graphs of harder polynomial functions. First Grade-Equal Values:Beavers, Build It–Students add together whole numbers and fractions to get the highest value possible. Students work with a teammate to make tall buildings and pass to the next level. Elementary Level- Addition, subtraction, Multiplication or Division:Sundae Times Lite– Students use mental math skills to build an ice cream sundae. Students can play against the computer or against other students online. Students depending on their level can choose to solve addition, subtraction, multiplication or division problems. Pricing-This link will take you to a page with prices depending on class size, you can also ask for a quote. Language Settings-You can change the settings to: English, Portuguese, and Chinese. Start Now for Free- This link is for people using the site for the first time or scroll up to explore more content. Shortly after, you will receive a Welcome email, and an email explaining how to reset your password. Enter as a student or as a teacher. As a teacher you will provide: email and password. Once you login, you will be directed to your Dashboard. Once here you can choose to go to your Newsfeed, Activities, Games, and Administration. For more details on how to use these options go to https://www.youtube.com/user/mangahighvideos. Argubright, M. T. (2014). Comparing traditional math instruction to online instruction: Preparing students for the Kansas college and career ready standards. (Doctoral dissertation, University of Kansas). de Kretser, C. Adopting a GBL approach enhances student experience of the Building Learning Power program. Graven, M., & Stott, D. (2011). Exploring online numeracy games for primary learners: sharing experiences of a Scifest Africa workshop. Learning and Teaching Mathematics, 11, 10-15. Martens, M. (2014). Technology in Children’s Programming: A View from the Digital Trenches. Children & Libraries, 12(1), 37.